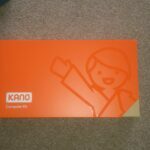 This is part of the tutorial side of the website. 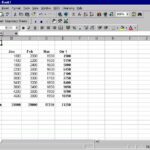 In this mini-series I will cover the basics of using Microsoft Excel. 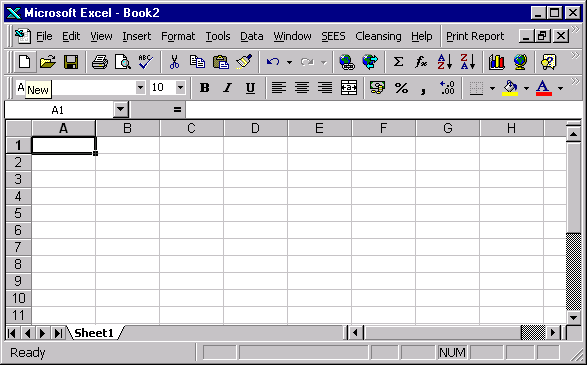 Open Excel by double clicking on the Excel icon on your desktop. 5. 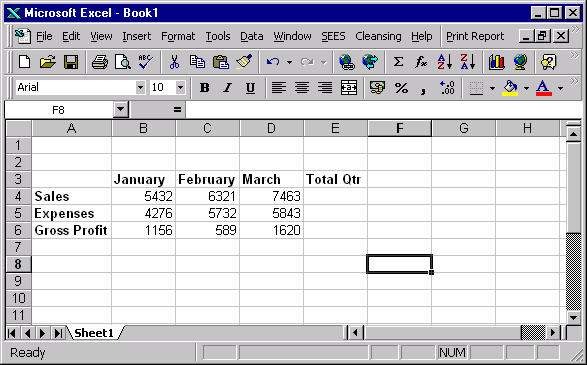 Highlight the figures you have just entered by placing your mouse over the cell B4 click once on the left button and holding this button down move the cursor until all the numbers have been selected. 6. 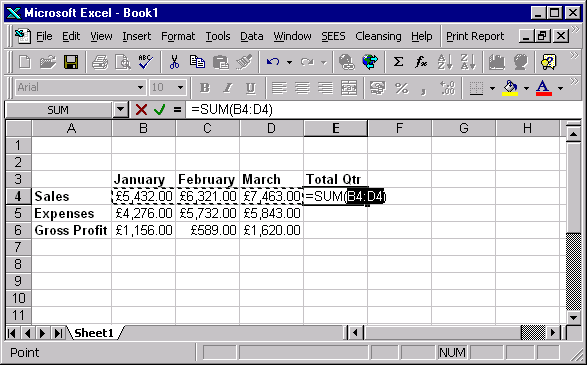 From the Title bar select Format by clicking once on it – and then select Cells from the drop down menu that appears. 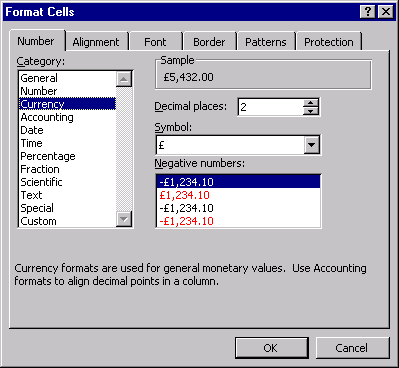 7.Select Number; Currency and decide how you wish to display negative numbers. 9. The figures you want to calculate should be automatically highlighted. 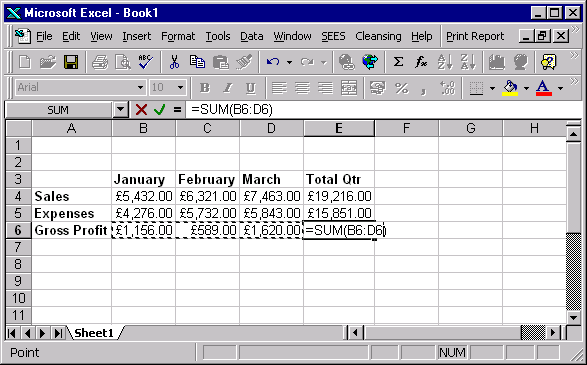 Now press Enter on your keyboard the =SUM(B4:D4) should changed to the total £19,216.00. 10. Repeat the procedure in cell E5 and E6. 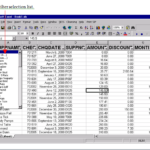 You will notice that when E6 has been highlighted the computer does not automatically select the figures in B6,C6 and C8 to total but selects the two totals in E4 and E5. 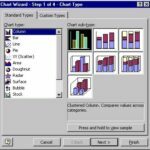 11.To alter the selection place the mouse over cell D6 and click and hold the left button and drag the mouse to cell B6 and release. The figure you want to total should now be selected. 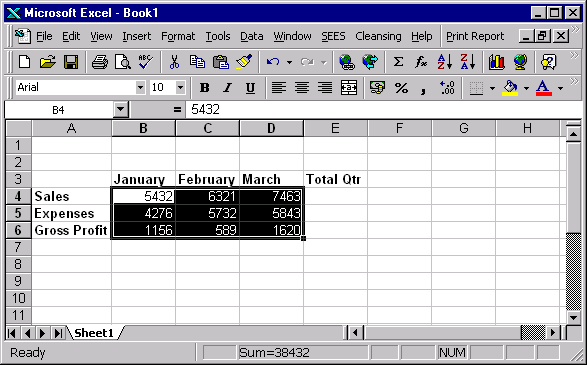 Press Enter to display the total. 12. 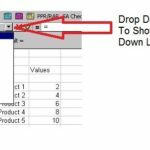 To save your completed Spreadsheet select File from the Title Bar and then select Save from the drop down menu bar. 13. 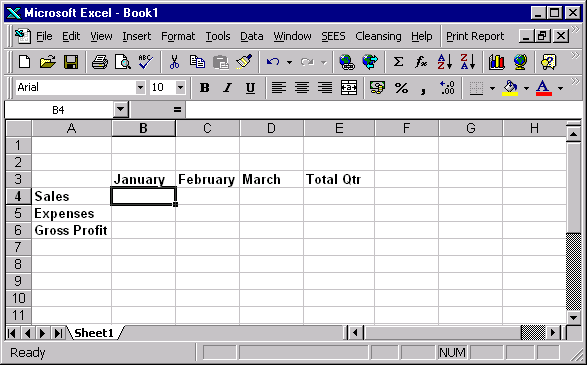 IMPORTANT – The first time you save a spreadsheet it will automatically open the Save As Dialog box. Make sure you remember where you have saved your file.